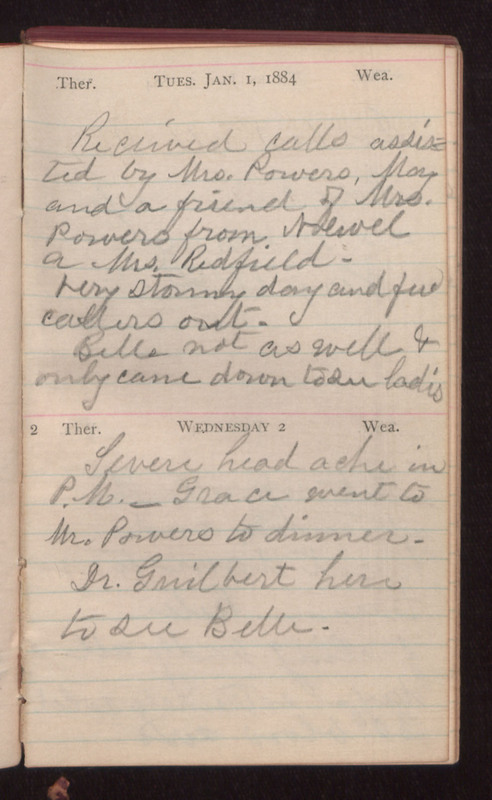 Tues. Jan. 1, 1884 Received calls assisted by Mrs. Powers, May and a friend of Mrs. Powers from Newel a Mrs Redfield. Very stormy day and few callers out. Belle not as well & only came down to see ladis 2 Wednesday 2 Severe head ache in P. M. _ Grace went to Mr. Powers to dinner. Dr. Guilbert here to see Belle.